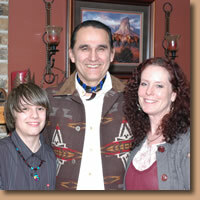 Chuck Willis of Running Bare Natural Hoofcare lives in Portland, Oregon, with his wife, Candi, and teenage son, Kenny. Chuck and Candi also have five grown children between them, three daughters, two sons, and four grandchildren thus far. Their 4-legged family consists of five horses, two dogs, and 3 cats. Chuck started trimming and shoeing the family horses in 2004. He was then mentoring with a couple of local farriers as well as immersing himself in home study with textbooks and videos. 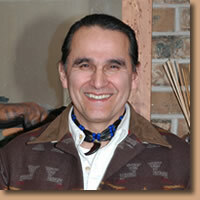 Chuck became interested in natural hoof care in late 2004 after watching Pete Ramey on Clinton Anderson’s RFD-TV show. What Pete said made so much sense to him that he decided to order his book and check into further natural hoof care. After reading Pete Ramey and Jaime Jackson’s books, Chuck decided to pull the shoes on all five of their own horses, a couple of them having problematic hooves. One of them was his daughters gelding who had extremely sensitive feet and weak walls that couldn’t hold a shoe for long. It was a constant battle keeping the shoes on. But, due to his extremely sensitive feet, their belief was that he needed to have shoes on year round. He has now been barefoot for 5 years and being ridden comfortably with and without hoof boots on terrain varying from soft arena footing to rocky mountain trails. They also have an older Arab who has a club foot on his right front, and did have an under run heel on the left. He needed to have corrective shoeing done with aluminum wedge & bar shoes and a pad on the under run hoof to bring both hooves closer to the same angles every 6 wks. He had been shod year round for 23 years, never without front shoes since he was a 2 yr. old. He had muscle atrophy in his right front shoulder from an early age, and has developed arthritis over subsequent years. He used to stand in the pasture, approximately 70% of the time, with that right front hoof pointed forward, not wanting to stand and bear weight on it when resting. While we were too late for his complete recovery, he has become much more comfortable and hardly ever shows the signs of his arthritis, and very seldom do we now see him standing with that right front toe pointing as he did before removing his shoes. He too, has been trail ridden with and without boots, depending on the terrain he is accustomed to, and doing wonderful! Chuck and Candi believe that if he had natural horse care and trimming in his early years he would most assuredly, be completely sound at his ripe old age of almost 30. As for their other 3 horses, they have done awesome barefoot also! They were so excited about these changes and successes in their own horses going barefoot, that they wanted to take natural hoof care a step further. Chuck decided to get training so he could bring this knowledge and healing to other people and their horses. He began training with the AANHCP in January of 2005 in order to learn as much as he could about the natural trim and natural horse care, which has now become his passion. He achieved his Certification with the AANHCP through a lot of hard work, perseverance, and practical experience along the way, while working another full time job along with training and working on hundreds of horses. While Chuck is no longer a member of the AANCHP due to personal reasons, he continues to further his education with anything and everything he can get his hands on that concerns natural horse care, trimming, and the pathologies that horses and their owners deal with today. He has now gone full time with trimming and loves every minute of it. As a Native American, Chuck considers this type of horse and hoof care right for him and his belief system. Horses were created to get around on this earth with the feet the Creator gave them and to go anywhere. He feels honored to be able to help others care for them in line with this philosophy. He strives to build a natural hoof care partnership between himself, the owner and the horse. Chuck's ultimate goal is to help horse owners learn about their horses’ feet and how to care for them in the best way possible--the way they were meant to be, naturally!